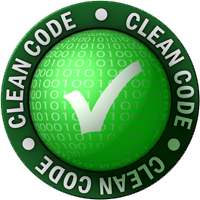 The Clean Coder: The Craftsman 62, The Dark Path. The Craftsman 62, The Dark Path. "Hey Alphonse," Jerry called as I walked by, "let's do a bit of practice. I've got a kata I'd like to show you." I felt I could use the break so I walked over and sat next to Jerry. "Sure, Jerry, what's a Kata?" Jerry rolled his eyes. "You've never done a kata?" I could feel my guard going up, but I tried to relax. "No, can't say I have." Jerry smirked and then called over to Jasmine: "Hay Jaz, do you want to tell Alphonse what a kata is?" Jasmine's long dark hair swished playfully as she turned her head to face me. She nailed me with those sparkling green eyes as she answered: "What, the hotshot's never done a kata?" "He says not. Can you believe it?" "Jeez, what do they teach these kids nowadays?" "Oh come on!" I said, starting to get annoyed. "You guys are only a couple of years older than me, school hasn't changed that much." Jasmine smiled at me, and I felt my annoyance evaporate. That smile... "Relax Alphonse, we're just poking fun at you. A kata is just a simple program that you write over and over again as a way to practice. We do them all the time. It's part of our normal discipline." "You write the same code over and over?" This was new to me, and it didn't make a lot of sense. Jerry nodded and explained: "Yeah. Sometimes we'll do a kata two are three times in a row, exactly the same each time. It's a good way to practice your hot-keys." "And sometimes," Jasmine added, "we solve them in different ways, using different techniques as a way to learn different approaches and reinforce our disciplines." "And sometimes we just do them for fun." Jerry concluded. "Which one are you going to show him?" Jasmine asked. "I was thinking about doing 'Word Wrap'." "Oh, that's a good one. You're going to like this Alphonse. You guys have fun." And with that she turned back to her work. I turned to Jerry and asked: "Word Wrap?" "Yeah, it's a simple problem to understand, but it's oddly difficult to solve. The basic premise is really simple. You write a class called Wrapper, that has a single static function named wrap that takes two arguments, a string, and a column number. The function returns the string, but with line breaks inserted at just the right places to make sure that no line is longer than the column number. You try to break lines at word boundaries." I thought about this for a moment and then said: "You mean like a word processor, right? You break the line by replacing the last space in a line with a newline." Jerry nodded. "Yeah that's the idea. Pretty simple huh?" I shrugged. "Sounds simple, yes." Jerry pushed the keyboard in my direction. "OK, then why don't you start." I knew this was a trap of some kind, but I couldn't see how. So I said: "I suppose we should begin with simple degenerate tests." I took the keyboard and began to type. I got the first few tests passing as Jerry watched. Jerry got real interested as I wrote this. When I got the second test working he said: "What's all that @RunWith and @Suite stuff you are typing?" I smiled. Apparently I was about to teach Jerry something. "Oh, yeah." I said nonchalantly. "That's the TestNest pattern. I learned it from Justin a few days ago. It lets you put more than one test class in a file. Each test class can have it's own setups and teardowns." "Yeah, that's kind of slick. But who's this Justin dude?" I pointed and counted ceiling lights. "He works just down the hall, beneath the 8th light."? "You mean by those guys who are always walking on treadmills while they code?" I nodded and kept on coding while Jerry stared back down the hall and recounted the lights. Jerry looked back just in time to see that last test pass. He looked over the code and nodded. "Yes, that's just about exactly how I solved it the first time. That replaceAll is a bit of a hack isn't it." "Yes, but it gets the test to pass. 'First make it work, then make it right.'" "Anyway, it's pretty straightforward so far." I said. And so I went on to write the next test. Jerry nodded sagely. "Yes, that's the obvious next test." "Yes, and with the obvious failure." I agreed. So then I looked back at the code. I stared at it for a long time. But there did not seem to be any simple thing that I could do to make the test pass. After a few minutes, Jerry said: "What's the matter Alphonse? Stuck?" "Are you sure you're on the right track, Alphonse?" I looked at the code and realized that I had been coding blindly. I ran the tests in desperation, but they just hung in an infinite loop. I could kind of feel what needed to be done, but it wasn't at all clear how I should proceed. "Give me another shot at this." I said, as I erased all the code and started over. Jerry just smiled and watched as I flailed around for another five minutes or so. Finally, with lots of tests failing he stopped me again. "What are you doing wrong, Alphonse?" I stared at the screen for a minute. Then I said: "I know I can get this working, give me another shot." "Alphonse, I know you can get it working too; but that's not the point. Stop for a minute and tell me what you are doing wrong." I could hear Jasmine stifling a giggle. I looked over at her, but she didn't meet my eye. Then I took my fingers off the keyboard and hung my head. "I can't seem to get this test to pass without writing a lot of untested code." I said. "That's true." Said Jerry, but it's not quite the answer I was looking for. You were doing something wrong. Something really wrong. Do you know what it was? I thought about it for awhile. I had been trying to figure out the algorithm. I had tried lots of different approaches. But all my guesses turned out wrong. -- Oh! I looked Jerry square in the eye and said: "I was guessing." "Right!" Jerry beamed. "And why were you guessing?" "Because the test was failing and I couldn't figure out how to get it to pass." Now Jerry narrowed his gaze, almost like he was looking through me. "And what does that tell you?" "That the problem is hard?" I guessed. "No, Alphonse, the problem is not hard. When you see the solution, you're going to be very angry at yourself. The reason you could not figure out how to pass that test, Alphonse, is that you were trying to pass the wrong test." I looked at the tests again. They seemed perfectly logical. So I asked Jerry: "How could these be the wrong tests?" Jerry smiled with a grin that rivaled Jasper's. "They are the wrong tests, Alphonse, because you could not figure out how to pass them." I gave Jerry a stern look. "You're being circular, Jerry." "Perhaps I am. Look at it this way. The test you are trying to pass is forcing you to solve a very large part of the problem. Indeed, it might just be the whole problem. In any case, the bite you are taking is too big." Jerry stopped me and said: "Did you ever read The Moon is a Harsh Mistress Alphonse?" "Uh... Heinlein, wasn't it? Yes, I read it a few years back. It was a great story." "Indeed it was. Do you remember this quotation?" "[W]hen faced with a problem you do not understand, do any part of it you do understand, then look at it again." "As a matter of fact, I do. I thought it was very profound." "OK then Alphonse, apply that here. Find some part of this problem that you do understand." "No, you think you understand the problem, but clearly you don't. If you understood it, you'd be able to solve it. Find some simpler tests to pass." I thought about this for a few seconds. What was so hard about this problem? The thing I'd been struggling with was how to deal with breaking the lines at spaces? Each of my "solutions" was tangled up with hunting for just the right space to replace with a line end. I looked at Jerry and said: "What if I solved the part of this problem that did not deal with spaces? Lines that have no spaces only need to be broken once they've hit the column limit." Jerry pointed at the keyboard, and I started again. I wrote the same degenerate tests. But then I changed tack and wrote a test that wrapped a line without spaces. That test was trivially easy to pass. The next test was pretty obvious. It should continue to wrap a string without spaces, creating lines that are no longer than the column limit. Jerry looked at the test and nodded. "How will you solve that, Alphonse?" "I just need to put a loop into the wrap function." I said. "I think there's an easier way." He said. I looked at the code for a bit, and then said: "Oh! Sure, I could recurse." The tests passed, and Jerry nodded approvingly. "That looks like a framework you could build upon. What's next?" "Now that I can wrap lines without spaces, it ought to be easier to wrap lines with spaces!" "Give it a shot." He said. So I wrote the simplest test I could. A space right at the column limit. "Do you remember how you made that test pass last time?" Jerry asked. "Yeah." I grimaced. "I use the replaceAll hack." "Is that how you're going to solve it now?" I looked at the code, and the answer was obvious. "Of course not!" I exclaimed. "All I need to do is check to see if the character at the column limit is a space!" and I wrote the following code. "Why'd you put that wrap call in there?" Jerry asked. "You're getting a little ahead of yourself, aren't you?" "I guess, but it's kind of obvious that it belongs there. Just look at the symmetry!" "I agree." Jerry said smiling. "Continue on." "Passing this one is going to be tricky." I said under my breath. I looked again, and it hit me. "Oh, no, it's just a small change!" And I typed the following. The tests passed, and I was getting excited. "This is so strange, the whole algorithm is just falling into place!" "When you choose the right tests, Alphonse, they usually do." "OK, so now let's make the column boundary really small so that it has to chop the string up into lots of little lines." "That one passes right away!" I said. Wow, I think we're done. "Not quite." Jerry said. "There's another case." I studied the tests. "Oh, there's the case where the character after the column limit is a space." I wrote the tests, and it was trivial to pass. Jerry smiled as the tests passed. "That's the algorithm all right. But I bet you could clean this up a bit." "Yeah, there is a lot of duplication in there." So I cleaned up my work with the following result. I looked at the code in some astonishment. This really was a very simple algorithm! Why couldn't I see it before? "You were right." I said to Jerry. "Now that I see this algorithm for what it is, it's kind of obvious. I guess choosing the right tests is pretty important." "It's not so much choosing the right tests, Alphonse; it's about realizing that you are trying to solve the wrong test." "Yeah, the next time I get stuck like that, and start guessing and flailing, I'm going to re-evaluate the tests. Perhaps there'll be simpler tests that will give me a clue about the real solution." And then I stopped myself and asked: "Is that true, Jerry? Is there always a simpler test that'll get me unstuck?" Jerry was about to answer when a spitwad hit him in the side of the face. Jasmine was laughing and running down the hall. Jerry lept out of his seat to chase after her. I just shook my head and wondered. Such a great post! I've just finished reading TDD by Kent Beck and wanted to try it out. I had the first few passing tests really quickly, but afterwords I just couldn't get the next test FAIL! Fail u say? Exactly fail. (The reason for that was that i was finished, without having all the cases tested, but the reason for this reason was having wrong tests in the first place). Excellent post! The concept of "smallest bite" have always been central to my understanding of TDD. This post makes a wonderful point in stressing that choosing a "bite small enough to swallow" is not all about the test itself - it is about the solution it drives. I will definitely include a ref to this post in my future classes on TDD. Hahahahaah! This and some cinnamon buns totally made my monday morning. Fantastic funny and educational read. Thanks! I've practiced TDD for two years but still a newbie. Realizing that you are trying to solve the wrong test is pretty important. I've never commented on a blog post before, but I have to say, this was a very nice post! I learned a lot reading through it, thank you! Wow this is not only a great story. I also like it because it's written like an entertaining novel. This could be a good way to design tutorials in general! I will keep that in mind. What's even more important to me is the fact that this is a great way to teach TDD newbies! Where can I find the Craftsman articles #53 to #61? I looked at http://objectmentor.com/resources/publishedArticles.html under the Crafstman link but that only goes up to 52. I have read all of them up to 52 and then this one came out and it is 63. I feel like I have missed out on some of the Ruby exploration that 52 left on. I asked Bob via Twitter and he answered this: "You'll find them at Informit. http://bit.ly/cM9bgW Clean Code Tips 1-12"
Just thought you should know these code snippets don't show up in the RSS feed (at least not with google reader). and removing the else-if does the trick. Thanks Carlos! Now I can catch up on the ones I missed. Just paste the code above in a test project, btw. Great article, great story. Although I've read this via Instapaper and the code snippets were also missing like in the RSS. But it wasn't a real problem. The TDD part of the story is very insightful but you really got me in the first few paragraphs with the code katas! It reminded me of my old friend I met in school years ago. He was actually the one who thaught me to program for the first time. But what he did was that he almost constantly programmed the game of snake. You know the one where you control a snake on the X and Y axis and it eats food and growths in length etc. He must have written it many times again and again from the ground up through the years. Now I think it's never too late to start doing code katas so I will start with them now. >That's the algorithm all right. This is the funniest part because the algorithm is not right at all, as Tobias noticed. This is a brilliant story showing that TDD should not be used for algorithms development. Hey, I just checked out the Transformation Priority and Sorting, but, what if you introduce a test with repeated numbers?, like [4,4,4,4] (or something like that). Cause to me it is a fail test. It returns "line1\nl ine2" instead of "line1 l\nine2". I guess, the quality of a TDD solution really depends on the test cases it´s based on. So the question is: how can you come up with a list of prioritized test cases if you don´t understand the problem and/or don´t have a clue as to how the solution should look like? Because that seems to be the case in this demonstration. This is not to blame Uncle Bob. Rather I guess that´s so often the case we need to be aware of it and don´t just trust some TDD process. TDD does not solve our problems. It´s only as good as our understanding of problem domain and solution are before (!) we start coding. People, aren't you a morons? Just look at this with a fresh look! Because Java has no just functions, you are to create class, than static method, which creates dynamic method, which actually does what you want. A good example of how clumsy OOP can be. Dammit, I want to unsee this. الإخلاص و الآمانة التي تقدمها لكم بأرخص الأسعار منها نقل اثاث الطائف التي تحرص علي تقديمه لكم فريق متميز فهي من أكبر الشركات بالمملكة العربية السعودية. شركة سوقني تقدم لكم عروض و خصومات في تصميم موقع الكتروني و ذلك حيث قد صل الخصومات إلي 30% و الذي يناسب جميع العملاء كما يقدم لكم أفضل الخدمات. خدماتنا المتميزة التي نقدمها من خلال فريقنا المتخصص فنحن أكبر و أهم شركة نقل اثاث بالمدينة المنورة و بجميع أنحاء المملكة العربية السعودية . Despite the brevity of the illustrations in this article, I have found the article to be very educational. This is due to the fact that it gives the readers to get updated on the education materials and the use of the same. In addition to that, this forum gives the visitors the opportunity to freely contribute. I do like the sense of humor that this post has, it is very nicely crafted and offers very nice information. The chance given to contribute is highly appreciated, I have the chance to freely say my mind about the relevance of the post. If Producing Animations with a Christian Theme is proving to be quite challenging for you why not try our services. We are accessible 24.7, always ready and equipped to assist. علاج مرض البرص و الشباب بصورة أكبر، و تؤدي الى حفر الجلد و تغيير اللون. Smart studies also involve depending on others, that is, taking help( be it Java Assignment Help, help with projects, help with keeping up with timetables and commitment), suggestion, ideas wherever they can find it. Danger! Software Craftsmen at Work.